The summer months are a good time to make some inroads into our cataloguing backlog, and we recently passed a milestone by cataloguing the last of the books in the Lock Room. The Lock Room (named for Glasgow’s pre-NHS Lock Hospital) contains around 2,200 volumes, dating from the early 18th century to the present day, covering a wide range of subjects. 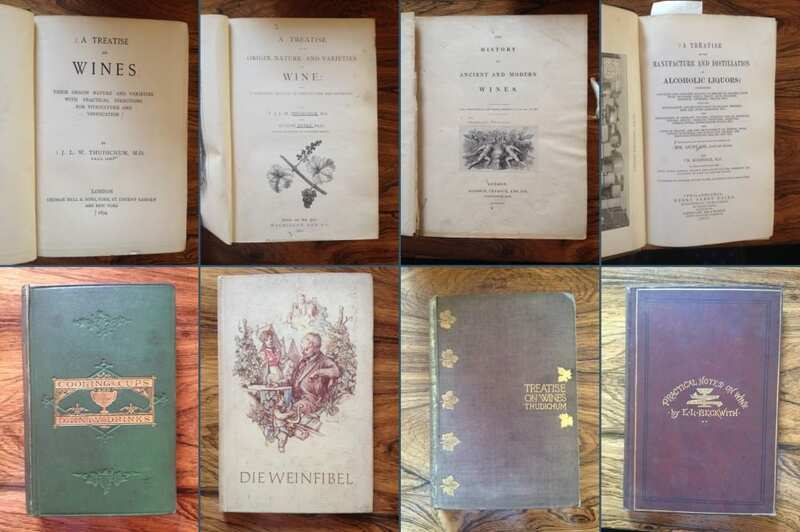 Here is a brief look at some of the highlights of the collection, including some unusual and unexpected titles. About a quarter of the room’s stock is comprised of biographies and books on the history of medicine. All the usual figures are well represented; for example Joseph Lister, David Livingstone, and Florence Nightingale all take up nearly a shelf each. There’s also a good selection of tomes on some of medical history’s lesser known (but nonetheless high-achieving) individuals. These biographies are shelved close to a small selection of “literary and artistic works by health professionals”. Doctors and surgeons are often multi-talented characters, and there is no shortage of talent in these novels and collections of poetry and song. This section is dominated by the malariologist Sir Ronald Ross, who was a noted polymath and wrote several literary works during his life. Ross’s mathematical and epidemiological works are also shelved elsewhere in the room. As always, our collections are not confined to medicine, and there are plenty of surprising books in the Lock Room. 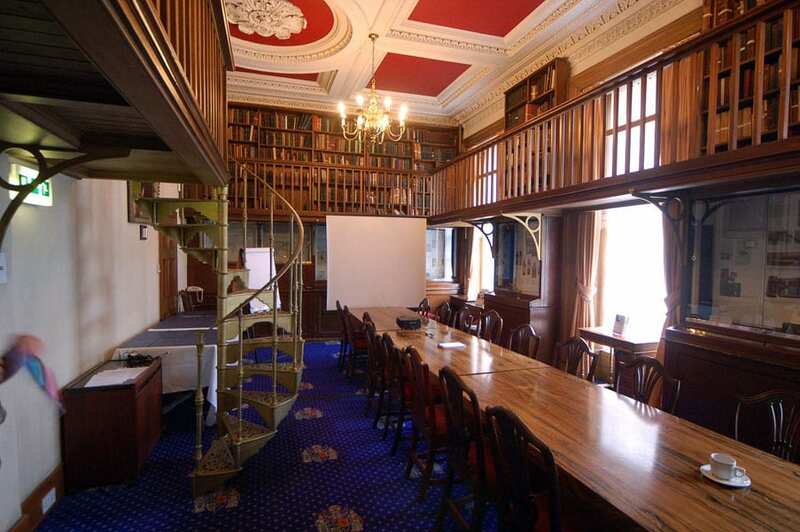 For example, a number of shelves are filled with books on criminal trials and other areas of Scots Law. In one single volume, you can find bound together 6 contemporary works on the Douglas Cause, an infamous 18th century legal dispute over the succession of the Douglas estate. If you’d prefer to read something a little more fun, we have a number of titles to choose from on the subjects of making and drinking wine and other alcoholic beverages. This is probably the most unusual book to be found in the Lock Room. 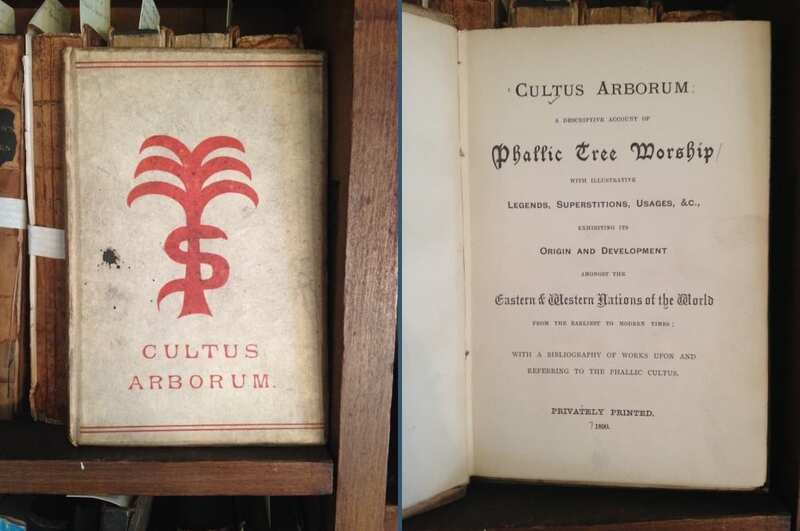 ‘Cultus Arborum’, thought to be written by the 19th century occultist Hargrave Jennings, is on the subject of phallic tree worship. Jennings wrote several books on nature worship and phallicism, but it’s not very clear how or why this book came to be part of the Lock Room collection. We add more records to our online catalogue every week, with well over 18,000 titles now available. You can search the catalogue at http://www.shelcat.org/prcp.